As fall has arrived and winter is just around the corner, we begin longing for ways to make our homes warmer and more comfortable. In preparation for the season of entertaining, followed by hibernation, there are many ways to bring warmth into our daily lives at home. Incorporating wood into our decor evokes the feel of a more traditional life. These additions can be the standard dining table or chair, but more and more, we’re seeing wood lighting and accessories to bring that warmth. Discover 5 ways that we suggest adding wood to your home. Bower Studio mirrors are framed in steam-bent natural hardwoods. 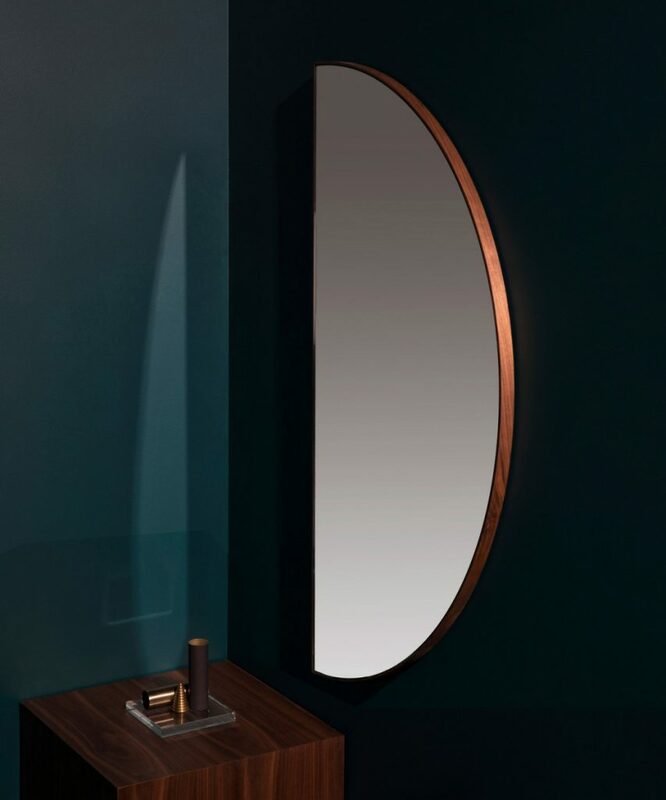 The Half Circle Mirror seen here is framed in walnut with a standard clear mirror, but why not kick it up a little with a bronze or antique mirror finish? 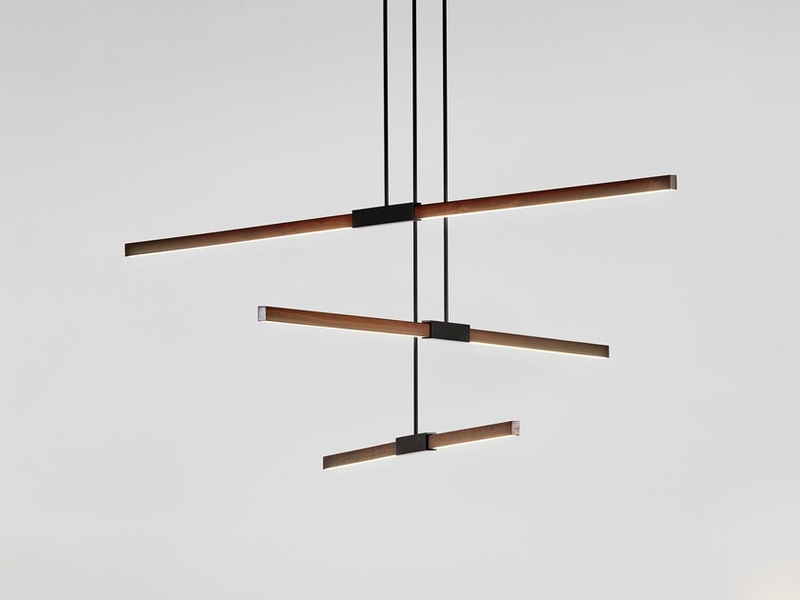 Stickbulb’s Multiple Pendant shown here with walnut finish and matte black hardware. This versatility of the Stickbulb collection, allows you to focus the lighting up or down simply by inserting the ‘sticks’ in whichever direction you’d prefer. Leonardo Da Vinci said, ‘Simplicity is the Ultimate Sophistication’ and this is very evident in Bassam Fellows Plank Coffee Table. 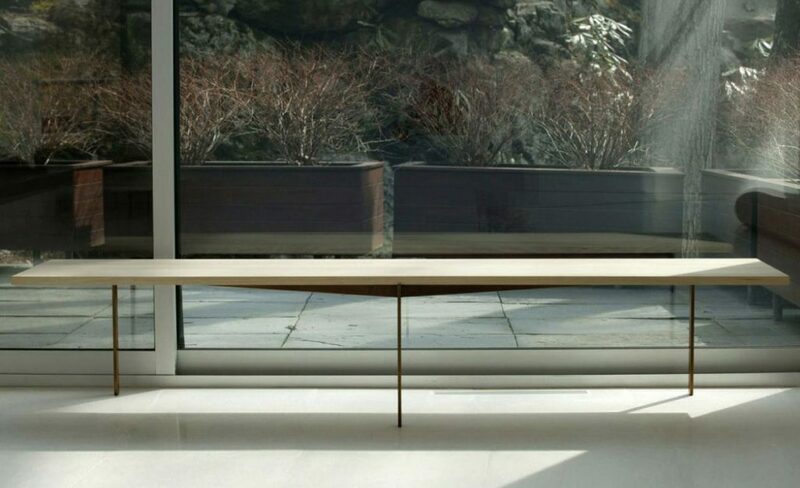 The table’s innovative design is a three-legged table with triangular cantilevers at each end, creating the illusion of a floating surface. 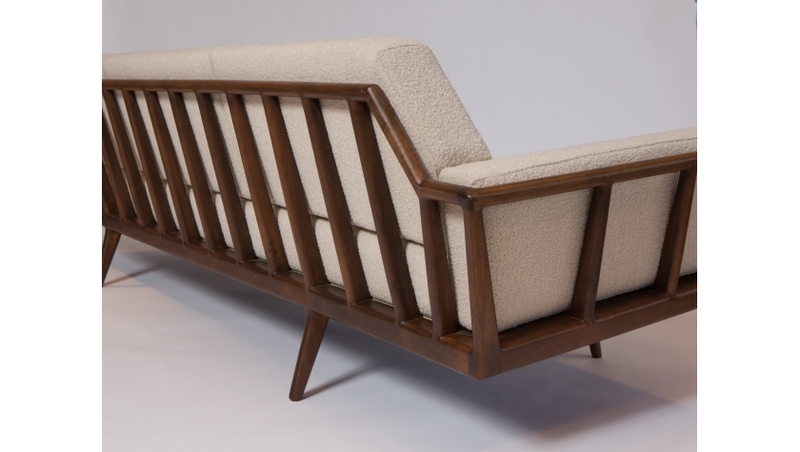 The Smilow Design Railback Sofa’s sculpted wooden frames gracefully envelops you, providing for a comfortable and relaxing sit. The simple beauty, fine craftsmanship, and exceptional detail is present from every angle. 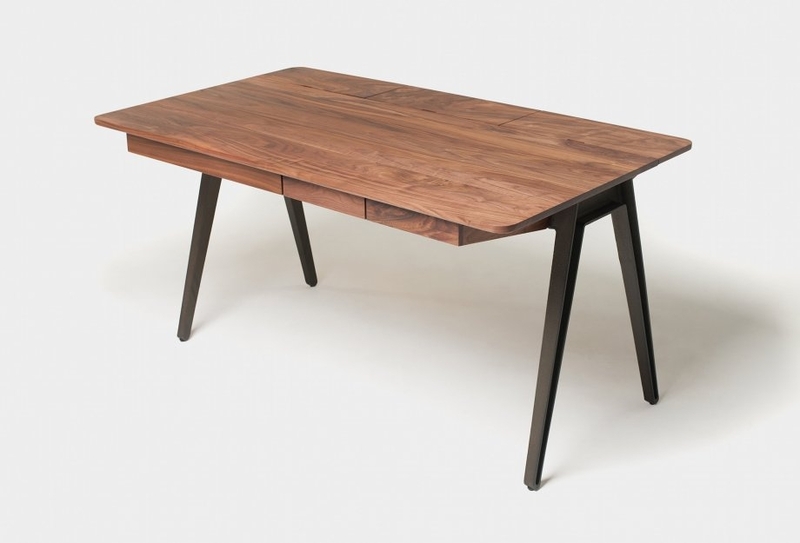 Designed by Matthew Hilton for De La Espada, the Orson Desk is fabricated with natural hardwood and cast iron. The combination of these materials is a great way to add a traditional feel to your home office and encourage you to get more work done at home during the long winter months. Whatever pieces you incorporate to make your home more inviting during the long months of fall and winter, have fun with it and choose something that will make you look forward to the colder weather.